The report, prepared by the Center for Injury Research and Policy of The Research Institute at Nationwide Children’s Hospital, looked at over 200 accidental drowning deaths of children under the age of 12, linked to different kinds of portable pools, from 2001 to 2009. A press release from the Center quotes the senior author of the study, Dr. Gary A. Smith, on what may be the key disconnect when it comes to understanding the safety risks inherent in even the smallest portable pools: “Because portable pools are generally small, inexpensive and easy to use, parents often do not think about the potential dangers these pools present.” So precautions that have become standard protocol when it comes to larger in-ground pools — like the use of safety fences and gates surrounding the pool — may not even be considered for smaller, portable pools. Portable pools run the gamut from $100 inflatable models (really more like small ponds) in which the water level doesn’t get more than a few inches deep, to larger and more sturdy pools that can hold thousands of gallons of water. What all portable pools seem to have in common, according to the study, is that under the right (or wrong) circumstances, they can pose the same risk of drowning and submersion injuries as larger in-ground and stationary pools. 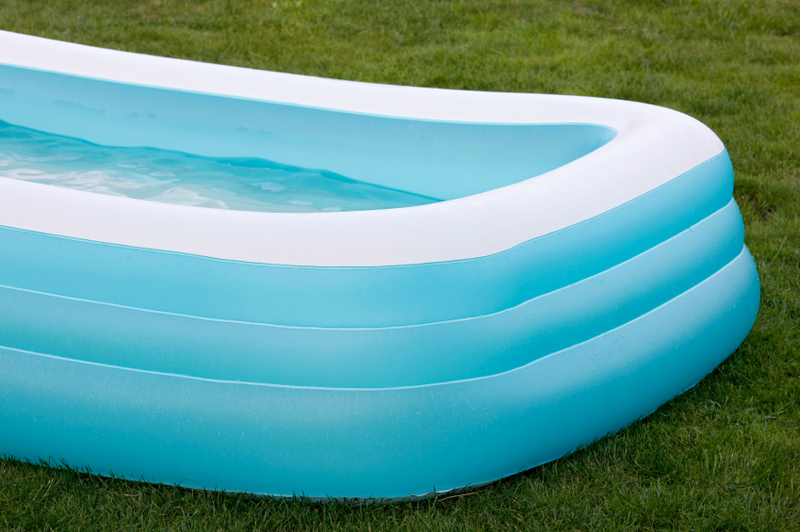 You can read a free online version of the study, Submersion Events in Portable Above-Ground Pools in the U.S., 2001-2009, from Pediatrics, the Official Journal of the American Academy of Pediatrics. To learn more, check out this Press Release and Portable Pool Safety Fact Sheet from the Center for Injury Research and Policy of The Research Institute at Nationwide Children’s Hospital. A new product safety information database has been launched by the federal government, giving consumers a one-stop online portal to report and research hazards in almost every kind of product under the retail sun. The newwww.SaferProducts.gov was launched by the U.S. Consumer Product Safety Commission (CPSC) on March 13. Drop-side cribs have been banned under new federal safety regulations announced Wednesday (December 15, 2010) by the U.S. Consumer Product Safety Commission (CPSC). Some are calling it the end of an era, given the drop-side crib’s huge and decades-long popularity, but others are calling the ban long overdue. In the last nine years, defective cribs have been blamed for the deaths of at least 32 children, and millions of cribs have been recalled during that time — with many of those recalls involving defects in the drop-side mechanism of different cribs. To learn more about crib safety standards, recent recalls, and how to make sure that your child’s crib is safe, check out Nolo’s recent article Crib Recalls, Safety, and Litigation. For parents and caregivers who want to ensure that cribs and other baby furniture are up to safety standards — and not subject to any recent recalls — the CPSC has set up a special online Crib Information Center at www.cpsc.gov/info/cribs. If there’s one thing that’s less exciting to get on Halloween than pennies and raisins, it’s tips on keeping things safe. But October 31 is right around the corner, and for kids there’s the good kind of scared (ghoulish costumes and haunted houses) while parents and homeowners get the bad kind — the dangers posed by certain costumes, questionable candy, dark streets, and unsafe property. So at the risk of donning a Debbie Downer costume this year, here’s an old pillowcase full of safety tips for trick-or-treaters, parents and caregivers, and homeowners who are getting ready for Halloween. Costumes: Make sure costumes and accessories are flame-resistant. Avoid really baggy costumes that can pose a tripping hazard. For greater visibility — especially since it gets darker earlier this time of year — use flashlights and apply reflective tape to darker costumes. Candy and Treats: Parents and caregivers should always inspect their young trick-or-treaters’ haul of candy for evidence of tampering or anything that looks suspicious. One good rule of thumb is to avoid any treats that don’t appear to be factory-wrapped. For Homeowners: Keep all walkways, stairs, lawns, and driveways well-lit and free of obstacles. Also, make sure any candle-lit jack-o-lanterns and all other open flames are attended at all times and out of reach of young kids. Otherwise you could be starring in your own personal horror film: The Attack of the Premises Liability Lawsuit. For Pedestrians and Drivers: Trick-or-treaters and other pedestrians should stay on sidewalks and other designated walkways at all times, and only go up to homes that are well-lit or show other signs that trick-or-treaters are welcome. Drivers should use extra caution and drive slowly in any neighborhood where kids might be out trick-or-treating, and be especially vigilant for pedestrians crossing the street outside of the usual crossing areas. Get more Halloween safety tips from the Centers for Disease Control and Prevention and the U.S. Consumer Product Safety Commission.